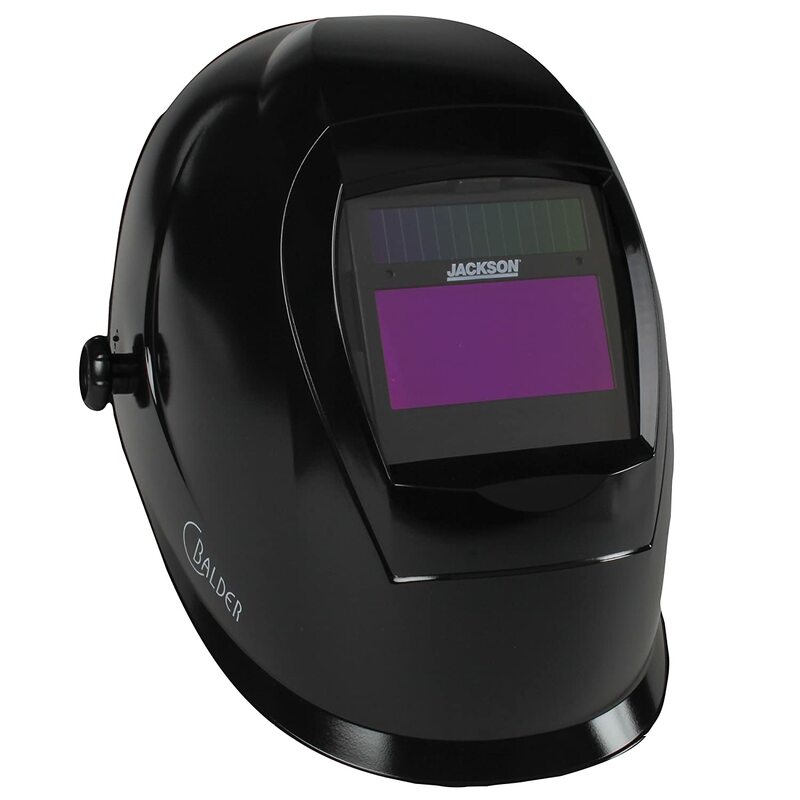 The Fibre-metal welding helmet is moulded from superglas plus which makes it light, but very strong. 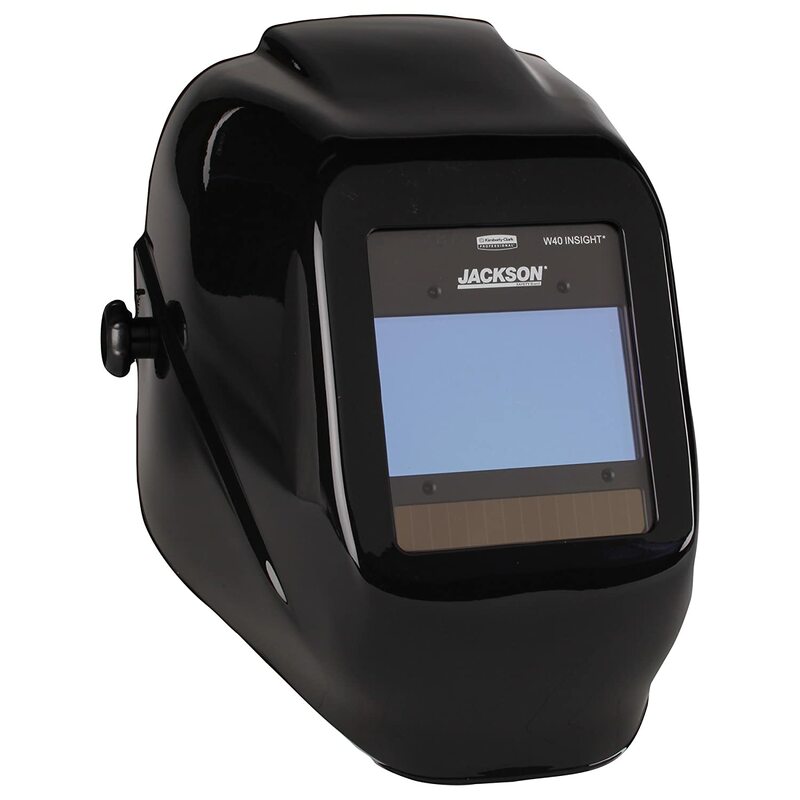 The welding helmet comes with quite a number of amazing features that make it unique and ideal for most welding professionals. It will hardly crack as it is impact resistant and has a rubber headband which can be adjusted easily to fit any head size. Why should buy this welding helmet? 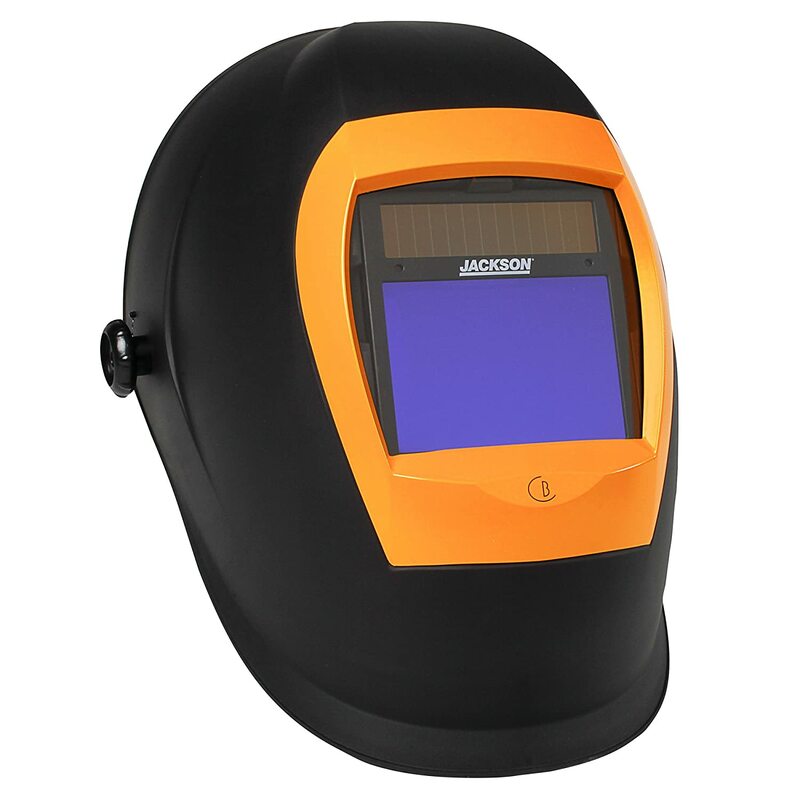 Every welding expert should buy this welding helmet since it can be used for all welding processes and applications. There is an integration of safety and comfort features that will make is possible for welders to achieve high rates of production. The welding helmet is SEI certified which is a mark of quality and safety. 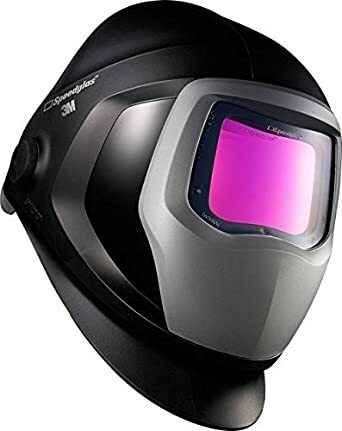 You can be assured of exclusive performance once you buy this welding helmet and it will be worth the price as you will certainly get what you pay for. This welding helmet is made from fibreglass material which is quite light, but very strong. This makes the helmet durable. The welding mask provides an ample viewing area and the ergonomic design will allow you use it even in tight areas. ​You can fit the helmet with hard hats and magnifying lenses, which makes it quite versatile. ​The helmet can be used in humid conditions and is also resistant to impacts. The rubber headband included will make it easier to adjust the helmet so as to fit you in the best way possible. One of the key advantages is the fact that this helmet is quite light. This will make is possible to use it for a very long time without experiencing any form of discomfort. The cost of the helmet is relatively low compared to the auto darkening helmet. You do not have save-up for a very long time, so as to get this helmet. This is ideal for those who practice welding as a hobby. There are several consumers who feel uncomfortable with the rubber band head gear. Adjusting the lens from your face can be quite tedious with such a headgear. The amber has also come under sharp criticism as it appears to be out of place. However, this mainly a matter of preference. The helmet cannot work with a respirator and this means that you cannot use the helmet to weld toxic materials. Who needs to buy this welding helmet? There are so many different welding helmets out there in the market. This is mainly due to the limitation of the features that it has. The helmet has a non-powered lens and this may be a big blow to most that rely on powered lenses. This helmet would be ideal for people who do welding for fun or occasionally. In as much as it will provide the basic protective functionality, there are various features that it falls short in. 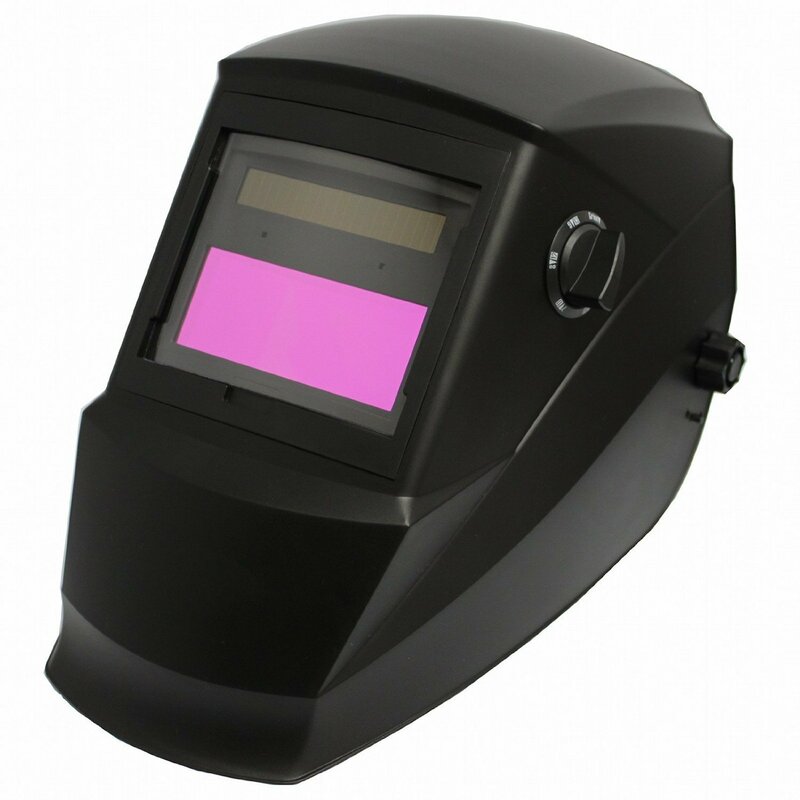 If you are looking for a top quality welding helmet, then this might not be the right choice for you. However, this can be used for arc welding as the orange lens will make it easier to notice when the arc is struck. The quality and limitation of some of the features are the main concerns for most consumers. You should critically analyse all these aspects before making a decision to buy this welding mask as it may end up frustrating you. However, for a hobbyist, this is the perfect choice of welding helmet. The 110PWe welding helmet is a good choice for novices and those who are kick-starting their welding careers. The sturdy design is also another amazing benefit with this welding helmet as it will be able to handle any type of welding application. As a wearer, the lightweight will be a great advantage although some consumers do not like the rubber headgear which may be uncomfortable. Over and above it is one of the most comfortable and cheap welding masks available on the market today. Here are some of the key features. 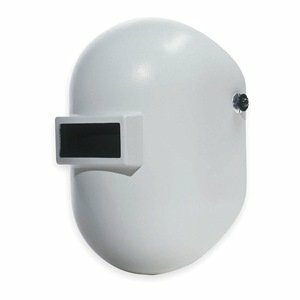 This welding helmet weight 2 pounds and has dimensions of 14 x 10 x 8.9 inches, which contribute to the compact design. It comes with a coloured lens which is orange in colour and has a shade of 10. ​The lens is static and non-powered, so it does not transit to darkness automatically. ​There is a sufficient viewing area of 2 x 4.25 inches. It is made from fibreglass which makes it impact resistant and durable. Unlike most modern helmets, this model does not contain an auto darkening filter on the lens. It comes with a rigid lens that has a darkness of 10 and the lens is coloured. 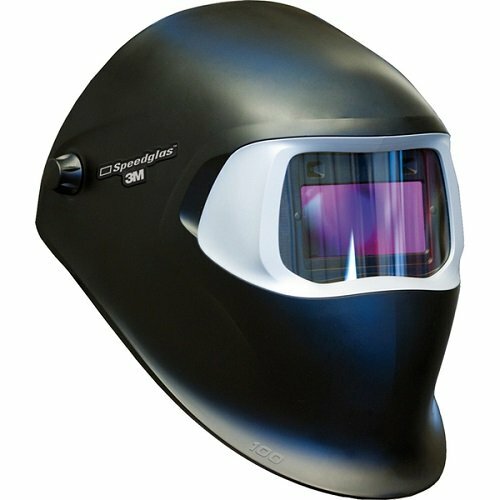 This means that you have to keep flipping it when you are welding so as to protect your eyes from the radiant energy emitted. You should be very cautious so as to use the welding mask as soon as you strike the arc when you are welding. It does not contain any automated aspects and as such it is considered to work as the traditional welding helmets. The 110PWE is one of the most basic welding helmets that you will ever find on the market. The design of the 110PWE Fibre-Metal helmet is quite common and has been around for a couple of years. This is regarded as an ordinary welding helmet that has a few adjustments to make it good enough as a professional welding helmet. While you will find a good number of welding helmets on the market, this particular model will offer you value for your money. It can be used with any type of welding application. It may serve as a perfect solution for hobbyists as it may be rather limiting for professionals. Considering the price point, this may be a good option for those who are starting out in the welding industry. 1.0.1 Why should buy this welding helmet? 1.0.3 Who needs to buy this welding helmet? 1.1.3 How does it work?